Here is what my family room looked like before our big remodel. It was extremely closed off from the rest of the house due to the laundry "room" smack dab in the middle of the walkway. Craziness right?! Most people who came into our house never even knew this room was here. You had to be looking for it to see it. One 3' opening was the only entry into this dark and dated space. 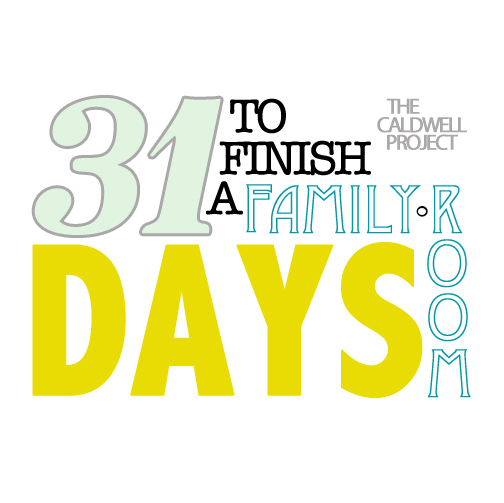 31 DAYS: To Finish a Family Room! I've decided to do The Nester's 31 Days! This was due to some inspiration from Mandi Gubler over at Vintage Revivals who is also participating, woo hoo! Thanks for your post Mandi! I have a family room that has been in "transition" since we started a remodel last January. I have lots of ideas that I would like to accomplish for the room. At any given time I'd say I have about 10-15 projects running and another 30 or so waiting in the wings. So, I thought I'd give an update on what is in "Progress". I could really take a picture of my whole house and leave it at that, haha, but I'll break a few things down instead, and I'll start with the kitchen. We recently went through quite the overhall in this area. I'll grace you with these "before" we moved in and "before" we ripped it out photos. As you can see we did a little updating before the big overhaul but it was still a very un-functional kitchen. I've decided than I'm titling my display: Escape of the Baby Tarantulas! It's too bad you can't see it in person. I can't seem to quite capture the horrificness of it all. For less than $10 we created ourselves a mini horrorscape. For a while now I have been looking for that perfect chair to sit in the corner of my family room. There is just one spot that felt so empty and was just crying at me every day to fill it with something beautiful. With a full house remodel in swing the option of going and buying a brand new chair for $200 or more was completely out of the question. So, it's was up to me to scour the yard sales, thrift stores, antique shops (which, between you and me can be almost as expensive as new) and the old favorite, craigslist.